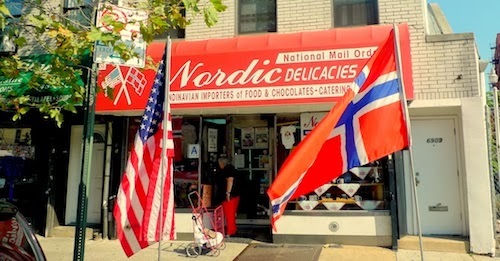 Stepping into quaint Nordic Delicacies is like stepping into the gift shop at the Oslo Airport before flying home, a place to buy coffee mugs and teddy bears with Norwegian flags on them. 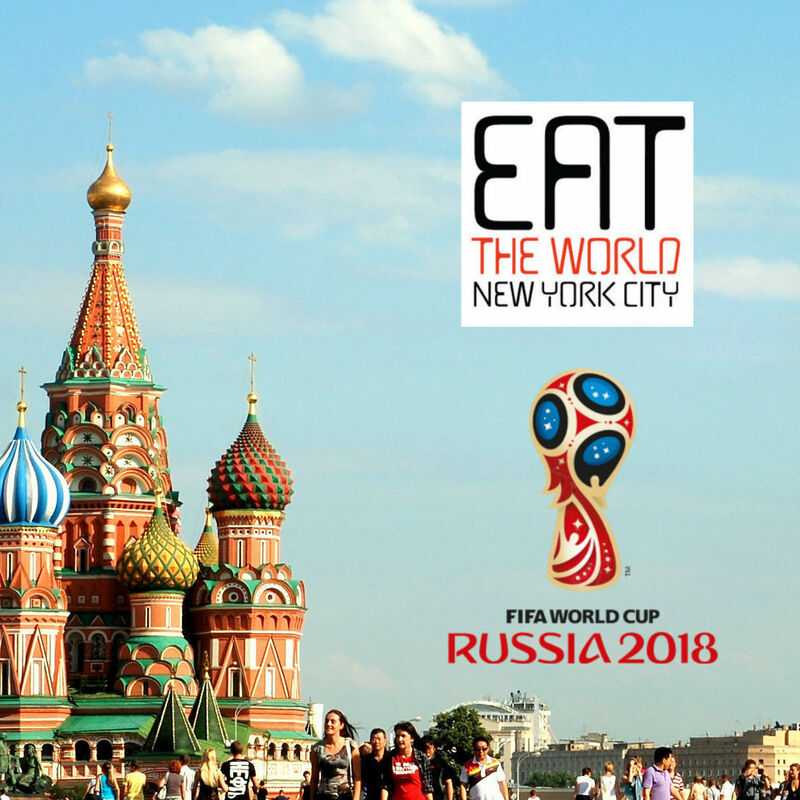 But this Bay Ridge establishment has another facet to it once you enter: they serve lunch. Called "dinners," these meals are available each day until they run out, usually late afternoon. There are two or three options each day, and both times I have been here the options were all seafood. Swedish meatballs and chicken parmegiana are on the list outside and must be available sometimes, but expect salmon to be an option. The lady of the house will tell you what she still has left, and you can place your orders for takeout or eat them at the one table they have in the shop. It seems most people leave with their food, as we had no fight for these seats. The aforementioned baked salmon dinner ($9.50, below) is great. 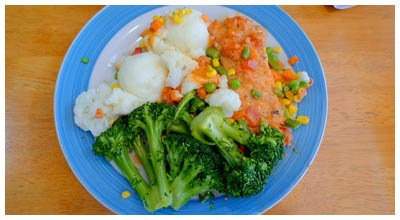 The creamy red pepper sauce that tops the lightly cooked fish combines with the other tastes on the plate very nicely. 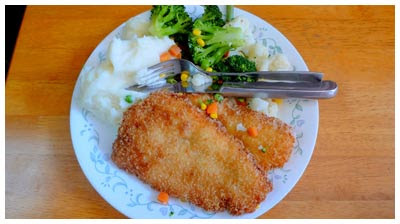 The homemade mashed potatoes are a good touch to all the meals, and everyone needs their daily dose of vegetables. The fried flounder dinner ($9.50, below) could probably stand the addition of a lingonberry sauce for the potatoes since there is no sauce. The fish is good though, lightly fried and still very juicy. The best part of the entire meal is just the experience of being here. It might be what your Norwegian grandmother's house would be like, if you had one. When not busy in the kitchen, the operators of the place are chatting and watching television. 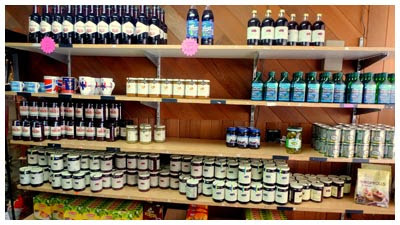 You can also pick up meats and cheeses, as well as a wide range of Scandinavian canned and jarred goods. We saw folks coming in to pick up cod liver oil, fish balls, and cloudberry preserves. We lingered at our table for a while after finishing, as it is just not the type of place you want to leave.